Joint Development Associates (“JDA”) might not ring a bell for you, but the work they do overseas advances the lives of thousands of people. The non-profit organization’s creation happened in 1994 by Bob and Cathy Hedlund. 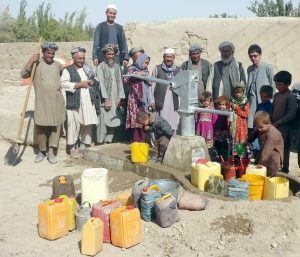 It started out by drilling thousands of clean-water wells in Karakalpakstan, Uzbekistan and now has grown to improve community health and farming techniques for the northern population in Afghanistan. When the organization first started working in Afghanistan in 2001, Bob spoke with the elders to ask what they needed most. The elders answered that their primary concern was to build schools to educate their girls. JDA hired local Afghans and established six schools to combat the high illiteracy rate in women. 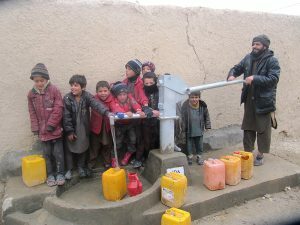 Since establishing a headquarters in Mazar-e Sharif, programs have expanded to include the Water Access, Sanitation, and Hygiene (WASH) program and the Birth Life-Saving Skills (BLiSS) program. These programs are also aimed to improve the lives of women in the region. 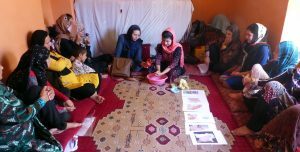 They teach basic hygiene and birthing aid skills to decrease the risk of disease and mother/child mortality rate. All training is done through picture illustrations, as 90% of attendees are illiterate. Since the start of the programs more than 12,000 women and 2,700 men have benefitted from WASH training, 2,000 women have been helped with BLiSS, and 77,800 people have clean water from drilling new wells. It costs $60 to train one person in WASH and BLiSS and $2,700 to drill one well. Joint Development Associates also offers agriculture assistance and is currently working in the Regional Agricultural Development Program (RADP-North), which is funded by the United States Agency for International Development. 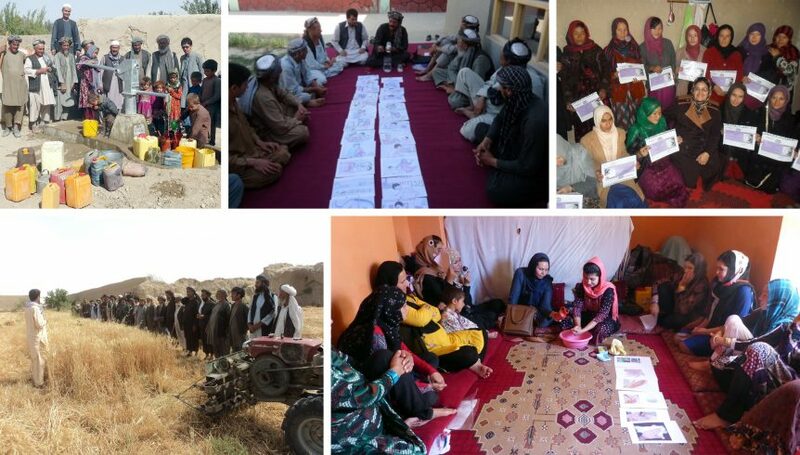 The purpose of the program is to advance food and economic security for Afghans by strengthening farmers’ knowledge and skills concerning improved wheat, high-value crops, and livestock production techniques. 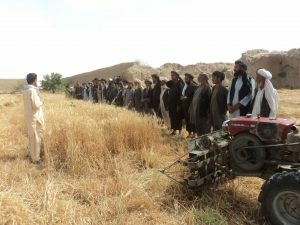 In 2005, JDA pioneered the work of two-wheel tractors and other implements, which are imported to Afghanistan from China. The result has been a steady increase of use and change in attitude towards mechanization. Typical farmers are heavily resistant to change and new ideas, but JDA sees improved planting and farm productivity as the result of proper mechanization. With the help of this technology, a farmer can cultivate his land in 5 days and earn money from the other 15 days by hiring out his services to his neighbors. Typically, it would take 20 days to cultivate his land with a team of oxen. Bob still travels twice a year to Afghanistan to oversee the programs but coordinates operations from his Grand Junction office. JDA is comprised of more than 80 Afghan staff members that continue to create and build relationships village by village. The goal of JDA is to reach and help more and more people, with hopes of expanding operations next to Kurdistan and Iraq. Helping their offices overseas is how Networks Unlimited first started their relationship with Joint Development Associates in 2015. JDA needed a new server for their Afghan operations. NU helped to set up the server here in Grand Junction and finished the installation remotely after Bob flew it over with him. When JDA decided to move their offices in Grand Junction, Networks was there to set up all the cables, wires, and technology to make a move seamless and secure. JDA’s Executive Administrator, Maria Leon loves the attitude of the staff at NU. “They [Networks Unlimited] are always a great help to us, especially the help desk! “stated Leon. Networks Unlimited is an excellent solution for all technology needs, no matter how big or small. Visit their website to learn more or donate!